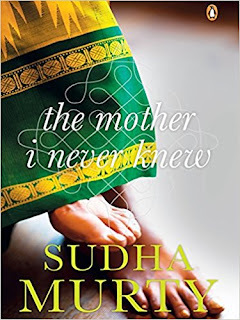 The book ‘The Mother I Never Knew’ by Sudha Murthy consists of two novellas. The stories in the book are about familial relationship, highlighting their values in our contemporary life. These two stories take a poignant stance about relationship with mother. In both stories, the characters feel befuddled about the history of their mothers and go on a quest to reclaim them. Both stories are different yet seem converging to one point: love for mother. In the first story, we see Venkatesh living a comfortable life in Bangalore until he gets transferred to Hubli. There he stumbles upon his look-like and there onward things begin changing. He comes to know that look-alike is his half-brother, who lives in sheer destitution. Venkatesh, full of contrition, comes out of his comfort zone and begins a hunt for his past. Will he be able to reach out to his step mother and find out about their past? Second story is of Mukesh, an NRI – living in London. When he comes to Bangalore he is confronted with the fact that Rupinder is not his real mother. Well, now he sets on his journey to find out about his biological mother. He travels to North India but still he is haunted by his allegiance to his foster mother. What if he finds out his real mother and what were the reasons that she abandoned him. It’s going to be a mystery cracker. In both stories the revelations come as rather shock, but purely built on reality. These things do happen in our society. And among all, the book is special because it carries a theme of motherhood. Why people love their mothers and why it is considered holiest relationship on the earth. For nostalgic people, this book may serve best, but we careful that you read it alone lest you cry and people make fun of you.